Making friends with your mind is one of the most important things you can do. The mind is the power force of you. It can help you in ways you wouldn’t think possible. Who would’t want a friend like that? As a baby you were born with only 2 fears; falling and loud noises. You then learnt everything else through your experiences. But because there was simply too much information, you ‘coded’ a lot of it with sights, sounds, smells, tastes and feelings. 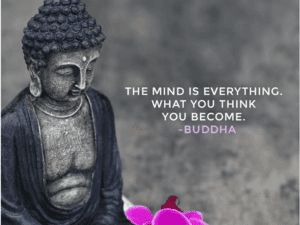 This coding is held in your subconscious mind (for more information on the subconscious mind see my previous blog https://www.honeylansdowne.co.uk/the-power-of-your-subconcious-mind). So your mind has fears, doubts, worries and beliefs that you didn’t even put there! However the good news is that the subconscious is a ‘good guy’ and always acts in what it believes to be your best interests even if it does get confused sometimes. (A bit like a friend that sets you up on a date with someone that’s not your type, or the kids help you ‘tidy up’ and you can’t find anything for weeks). 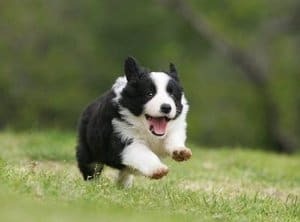 (https://www.honeylansdowne.co.uk/30-days-happier-day-2-might-co…/) the subconscious goes off like an enthusiastic puppy to find evidence to support that thought. So the conscious mind might think ‘I can’t do this, I’m not good enough’ and off the subconscious puppy goes, tail wagging, to get all the evidence from your life to support that thought. There was the time you came 4th place in the competition at school, the time you were in the last two for a job but the other person got it, the time when the person you fancied didn’t fancy you back etc. etc. (I’m using light examples but most people have things more serious than this). All this evidence then makes the thought feel truer, really real and that thought feels like a fact. The thought creates the feelings and you feel bad because ‘you can’t do this, you are not good enough’. OH REALLY?! What about the time you were a pillar of strength for a friend, or that thing you made/did that was admired by many, or the many other times you were brave, kind, clever, strong or whatever? They’ve been overlooked haven’t they because the conscious thought told the puppy to look for ‘I can’t do this, I’m not good enough’. And quite frankly the puppy has bought back a pile of sticks. A simple understanding of how your brain works is as valuable as a simple understanding of how your mobile works! So what I am saying here is when a negative thought comes into your mind, your mind looks for evidence to make it ‘true’. This makes the thought stronger and the bad feelings stronger and more ‘real’. When you’re thinking this way, you are wrapped up in yourself, away from life, away from opportunities of happiness and feeling good. Continue to catch your negative mind chatter – are you noticing a key theme or time it occurs yet? Such good food for thought! And especially applicable to those operating businesses. It’s so easy to get lost in the chatter of… is what I’m doing right? Is this good enough? I should have done that differently, etc. Great post Honey. So it you’re thinking positive thoughts does the subconscious mind then go off searching for positive evidence? Yes Julie, absolutely! And we can build them up and ‘anchor’ them so they stick and we can even trigger them when we need to! Cool tips for your tribe Donnah! Thank you for sharing a plan to get things going and moving forward with a more positive and happy out look. My pleasure Tamara. It makes me happy! I’m friends with my mind, but I’m also working overtime with some older relatives in helping them to reduce mind chatter! Michele. Great news on the helping others. Lovely explanation of how the unconscious mind follows our conscious thoughts. Mindfulness can be challenging, but becomes habitual within 21 days. Mindfulness is great. Hypnotherapy is mindfulness with knobs on! A very fantastic and “healing” post, could you imagine all the people who are actually tormented by their negative mind chatter? I think we call that voice “the chimp” at home. Enjoyed this post Honey, thank you! Great post, once again, much to think about.